The team at MPPFG covers a range of practitioners to comprehensively address the full range of therapies potentially required for your injury or condition. Our practitioners are experienced and highly qualified to diagnose and treat your problem. A commitment to ongoing professional development ensures we stay current with the latest advances in research, evidenced-based practice and technology developments. This combination of extensive experience and professional development make MPPFG the trusted choice for student and associate physiotherapists to progress their learning. Our directors and senior staff offer an unparalleled mentoring benefit, ensuring that both training physiotherapists, as well as patients, receive their expertise. 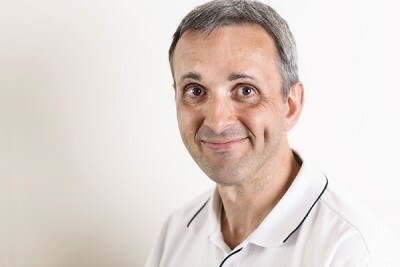 Chris joined as an MPPFG partner in 1992 and has had a long career in sports physiotherapy. After completing his studies at the Lincoln Institute, Melbourne University, Chris gained extensive experience working with a variety of sports teams before returning to private practice. Chris worked as a physiotherapist for a number of years in Toronto and Whistler on the ski slopes and was the consultant physiotherapist for the Canadian Downhill Ski Team in 1985. He was also a co-founder of the APA’s “Get Fit to Ski” program and the Falls Creek Physiotherapy Centre. Chris was appointed to the Socceroos Physiotherapy Panel 1984 and again from 1988 to 1992. Chris was also previously the physiotherapist for NSL teams South Melbourne and Heidelberg United and the consultant physiotherapist for the Victorian Soccer Federation. Chris’ most recent sporting involvement included being a consultant physiotherapist to the Melbourne Football Club. Melbourne Football Club, Consultant Physiotherapist, 2005-2008. Victorian Soccer Federation, Consultant Physiotherapist, 1988-1995. Socceroos Physiotherapy Panel 1984, 1988-1992. Canadian Downhill Ski Team, Consultant Physiotherapist, 1985. Whistler B.C Canada, Physiotherapist, 1984/5, 1986/7 ski seasons. Bobby Orr Sports Medicine Centre, Toronto, Physiotherapist, 1984-1985. 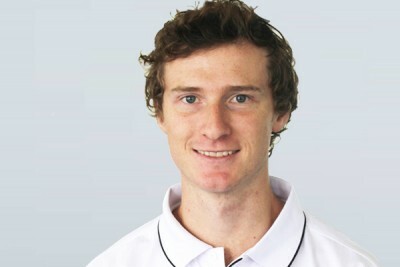 Greg initially studied a Diploma in Physical Education at the Lincoln Institute, Melbourne University. During this time he developed an interest in sports injuries and rehabilitation. This interest was enhanced by his own personal sporting involvement including a stint in the Hawthorn Football Club Reserves. Pursuing this interest, Greg commenced a Physiotherapy degree at the Lincoln Institute, Melbourne University and later completed a Post Graduate Diploma in Manipulative Physiotherapy. Following his studies Greg started Windsor Physiotherapy Clinic – later to be known as MPPFG. He concurrently established the Manipulative Therapy Unit at Saint Vincent’s Hospital Outpatients and lectured and tutored Post Graduate Manipulative Therapy courses. As MPPFG’s primary founder, Greg has been a driving force behind its growth and expansion into a wide range of services including its esteemed Pilates practice along with his Partners Chris and Wendy. Throughout his career Greg has also worked as Head Physiotherapist at two AFL clubs – the Western Bulldogs and the Melbourne Football Club – amongst many other sporting involvements. Greg’s efforts are now focused on MPPFG’s new clinic and studio and its development in the new therapy environment. Founding director, Melbourne Physiotherapy Pilates and Fitness Group. Melbourne Football Club, Senior Physiotherapist, 2000 – 2008. Footscray Football Club, Senior Physiotherapist, 1985 – 1998. Socceroos, Physiotherapist, 1984 – 1994. Victorian Soccer Teams – Youth, 1984 – 1994. Mark graduated from La Trobe University in 1990 before working in the United Kingdom between 1991-1992. Upon returning to Australia, Mark qualified in his Post Graduate Studies in Manipulative Physiotherapy at La Trobe University in 1995. Michelle has a true passion for health and fitness. Since 2006 she has been helping elite athletes, performers and clients from all walks of life to reach peak physical condition. Michelle’s approach is to treat effectively so your body restores its complete function and to give you a comprehensive program to achieve all your health and fitness goals. This approach has made Michelle a sought-after practitioner in Australia and Canada. Michelle’s goal is to share her knowledge and passion for health and well-being with her clients, regardless of their objectives or level of fitness, and to help them be fit and strong for the long term. Michelle has a love for working with kids. Some exciting career highlights for her have been working with Cirque du Soleil, the World Ultimate Championships and PanAm Games. Emma has extensive experience in the circus arts, gymnastic, dance, elite sports and athletic worlds. With her gymnastics, circus, acrobatic and dance physiotherapy, Emma uses her manual physiotherapy and Pilates skills concurrently to treat both acute and overuse injuries. Her focus is on stability and holistic treatment. As well as regular Clinical Pilates, Emma conducts acrobatic specific Pilates programs for acrobats, performers and athletes alike. 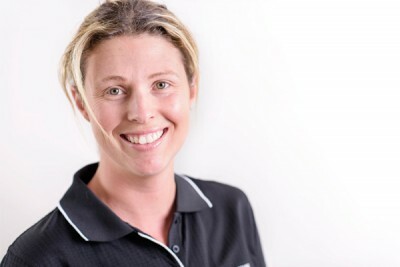 Emma is physiotherapist for the Victorian Men’s Artistic Gymnastics High Performance Centre, and has been the Men’s Victorian team physiotherapist at the Australian Gymnastics Championships for the past two years. Emma is also a contracted Cirque du Soleil Physiotherapist and has worked on their international circuit with ‘Corteo’, ‘Quidam’, ‘Saltimbanco’ and ‘Ovo’ and she was most recently Physiotherapist for Cirque du Soleil’s ‘Totem’. She was physiotherapist for international circus groups- Cirque Le Noir and Compagnia Finzi Pasca’s La Verita in Melbourne, and was also physiotherapist for Cirque Eloize ‘ID’ in Singapore. Emma was recently appointed the Supervising Physiotherapist for the current Disney ‘The Lion King’ Australian Tour and was previously the company physiotherapist for Disney’s ‘The Lion King’ and the ‘A Chorus Line’ Australia tour in Singapore. Emma has proudly worked with Melbourne Commonwealth Games (Hockey), Melbourne Football Club (AFL), Melbourne Tigers (NBL), high performance gymnastics (MLC) and Rowing Australia (MUBC). She is very happy to be home in Melbourne, to return to the MPPFG team and be working in the acrobatic and physical performance worlds that she loves. Pav completed her Masters in Musculoskeletal and Sports Physiotherapy at University of South Australia (Adelaide) before moving to Melbourne. Pav has worked & traveled with women’s cricket teams while working for Mumbai cricket association & national cricket academy. 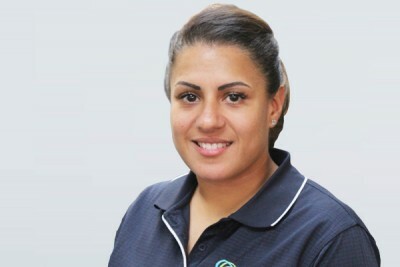 She has experience managing on-field & off-field injuries and has a special interest in pre-screening. She also has experience working with soccer and squash players. Pav believes in importance of correcting biomechanical dysfunction and poor movement patterns through functional exercises and Pilates. She currently works as physiotherapist for junior teams with Moreland Zebras Football Club. 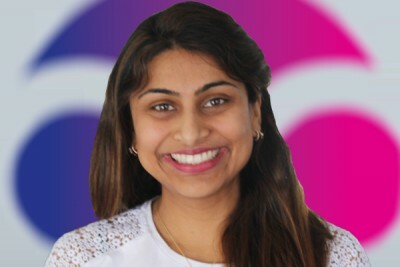 In her spare time, Pav enjoys keeping up with her gym and loves travelling. Amanda graduated in 2012 from Curtin University and has worked in both private practice and within sporting clubs. 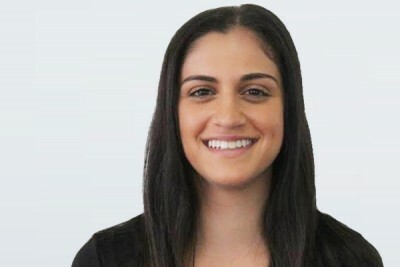 Amanda has extensive experience with basketball injuries having been the Physiotherapist for the Perth Redbacks from 2011-2013, the Sandringham Sabres Women’s SEABL squad, the Nunawading Spectres and the current physiotherapist to the Frankston Blues. She also served as a Physiotherapist to Basketball Victoria in 2015 and for the National Championship winning U18 Girls team. Amanda has also been a physiotherapist in the State Netball League in Western Australia and was the Perth Scotch College Rugby physiotherapist for their 2016 Melbourne tour. Amanda has represented South Australia in rowing and Western Australia/Victoria in netball and knows the requirements needed of an athlete and the injuries that can arise with various sports. She has a special interest in the management of knee, ankle and spinal injuries and uses Pilates and dry needling to treat musculoskeletal pain. Outside of working hours, Amanda plays netball and football and loves cooking (and eating!) She is looking forward to seeing the Collingwood Magpies win their first national netball championship in 2017. 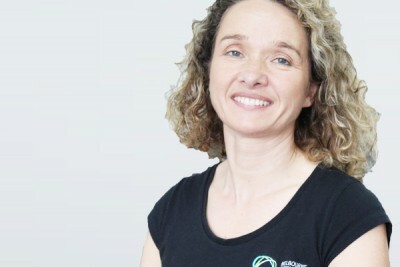 Helen came to live in Melbourne in 1987 and has practiced as a physio for over 30 years. During this time, she has worked at various public hospitals and private practices, for the Defence Forces at Victoria and Simpson Barracks, and in her own home-based practice. Now a proud mother of four, Helen actually discovered Pilates in 2000 after the birth of her third child. At a time when her body felt weak on the inside—and when no other form of exercise seemed beneficial—she found that Pilates was exactly what her body needed. Interested in exploring this further, Helen attained her first Pilates instructor certification in 2001 in Polestar Pilates Rehabilitation in order to share her positive experience with others. Helen has now been teaching Pilates Mat classes for 17 years. She started initially with an Over 50s’ class at the Alphington Community Centre, and supplemented this in time with a Limited Mobility class at the same venue, plus several All Ages and Abilities classes at the Alphington Bowls Club. Currently, Helen teaches a total of eight Pilates Mat classes a week, in addition to two days’ work as a physio at Simpson Barracks, plus private physio patients who she treats from her home practice. Helen finds that physio and Pilates are mutually complementary: Pilates forms an ideal form of rehab for many of her physio patients; and the Pilates classes help identify attendees who will benefit from physio treatments. Helen especially loves Mat Pilates, as it is cost effective and can be done anywhere, anytime with very simple props. It is her mission to spread the message that everyone—from elite athletes to the elderly, and from people experiencing acute pain to those suffering from chronic conditions—should be able to benefit from Mat Pilates with the correct guidance. Ross completed a Bachelor of Exercise and Sport Science before finishing with a Masters of Physiotherapy at the University of Sydney. 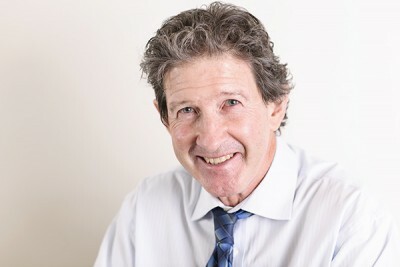 Ross has experience in private practice, hospitals and sporting environments. Within the hospital setting, Ross has worked in surgical, intensive care, geriatric and general wards among many. He has also worked in nursing homes and within inpatient hospitals following certain orthopaedic surgeries. Ross has extensive experience with Sports Physiotherapists who work with elite athletes. Currently, he is part of a medical team at Melbourne Uni Blues AFL team in the VAFA premier competition. Ross is interested in all types of musculoskeletal conditions (all age groups), particularly those associated with exercise, work and sport. He employs a variety of manual therapy techniques, in addition to functional exercises to assist the body to its full function. Outside life of MPPFG, Ross revels in an outdoor and social lifestyle, regularly competing in charity events such as triathlons, ocean swims and more. Coming from a background in national-level swimming during his schooling years, Luke developed a passion for fitness, exercise and the body early on. His many years of swimming saw him undergo multiple physiotherapy sessions, which would later focus his broader interest in movement and exercise. Since finishing school, Luke has immersed himself in a multitude of health and movement-focused positions, from both a musculoskeletal and neurological focus. Most recently, Luke has been working as a Strength and Conditioning Trainer and In-House Physiotherapist at a fitness studio, and prior to that was working with Neurological Rehab Group as a Physiotherapy Assistant during the completion of his degree. 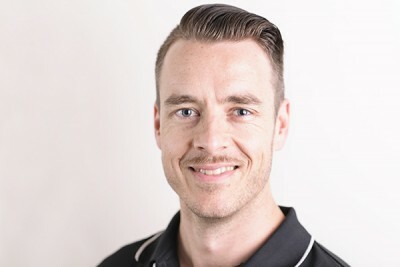 Through his experience, Luke has recognised his passion for musculoskeletal physical therapy and strength training for both general fitness and rehabilitation. Luke is also extremely passionate about mindfulness, the relationship between the body and the mind and how much they can manipulate one another. He plans to do some further study in this area in the future. Outside of work, Luke has a huge passion for good music and great food, and loves to cook for his friends. Felicia has experience in areas of private practice, aged care and occupational health and safety. She is a certified Polestar Pilates instructor, and is fully qualified to prescribe exercises for the purpose of injury prevention and rehabilitation. Felicia maintains a keen eye on optimal movement patterns, dynamic alignment and techniques in the Pilates studio and often places emphasis on using the breath to facilitate movements. Felicia’s aim is to help individuals improve body awareness and in doing so reduce risk of injuries. She particularly loves helping seniors exceed their own expectations of their physical capabilities! Felicia can be sought for ergonomic assessment services. Her services best suit employees of corporations where overuse injuries and musculoskeletal pain from sedentary work or poor work station set-up are prevalent. Outside work, Felicia enjoys testing her physical limits through pole fitness and aerial silks. 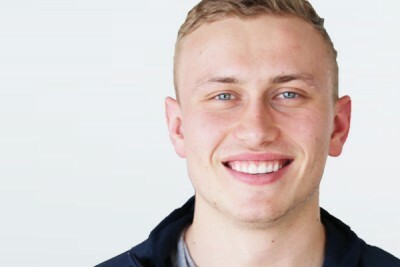 Stephen completed his Bachelor of Exercise and Sports Science at ACU in Melbourne before attending the University of Sydney to gain a Masters in Physiotherapy. Throughout his studies Stephen has gained experience in both private and public workplaces. These have included an acute neurological ward, acute aged care ward, intensive care unit and a busy practice in Hornsby in the north of Sydney. Stephen is currently providing Physiotherapy services for St Kevin’s College first XVIII football team and has previously worked at the Queensland Rugby championship and the Sydney Half Marathon. 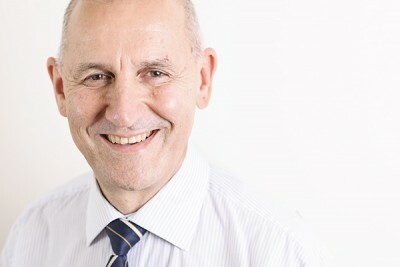 Stephen is interested in all musculoskeletal conditions, with a particular emphasis on longstanding issues where previous treatments have failed. His approach to Physiotherapy is a balance between manual therapy and exercise based rehabilitation which aims to build towards patient self-management. 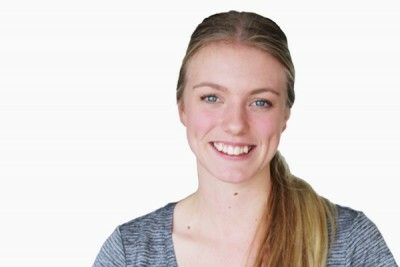 Ashleigh has a keen interest in musculoskeletal, spinal and sports physiotherapy. Ashleigh has worked both nationaly and internationally, as a qualified physiotherapist providing clinical care for musculoskeletal and spinal pain and conditions, sports related injuries and post-orthopaedic surgeries. In addition, Ashleigh has an interest in scoliosis and spinal deformity. She has published research in the field and travelled overseas to complete studies in physiotherapy specific scoliosis exercise. While completing her physiotherapy studies, Ashleigh gained invaluable clinical experience in hospitals, community health centres and sports medicine settings. 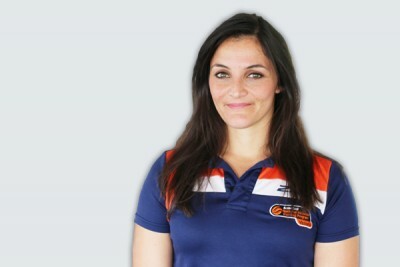 Ashleigh has a strong background in exercise and sports science with extensive experience in exercise prescription for clinical rehabilitation and improving performance, both in the general population as a personal trainer, and in placements with elite sports teams alongside physiotherapists and performance staff. 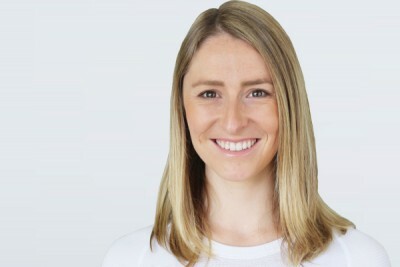 As part of her role at Melbourne Physiotherapy Pilates and Fitness Group Ashleigh provides physiotherapy services as well as clinical rehabilitation to achieve long term outcomes. Ashleigh also works at Melbourne Scoliosis Physiotherapy Centre. Ash is passionate about creating long-term outcomes for patients. As a therapist she has a patient centred treatment approach with focus on a thorough assessment and clinical reasoning of contributing factors, a large educational component and a balance of therapeutic and exercise based interventions. Personally, Ashleigh has a love of travel, having been to 40 countries in the world and counting. She also loves abalanced life that includes the outdoors and recreational sport. Bryce has worked as a remedial massage therapist for over 14 years. The majority of those have been spent here with the team at MPPFG. In this role he has treated elite athletes from the Melbourne Football Club, VIS gymnasts, tennis players, International Cup football players and elite marathon runners, triathletes, swimmers and water polo players. Bryce also has wide experience in treating workplace issues such as overuse injuries common to people working for prolonged periods at computers and work stations. Bryce aims to ensure that all treatments are given according to focus on specific needs with a focus on positive outcomes. Timothy’s background in dance and movement training has led to a more focussed professional practice as a Remedial Massage therapist. 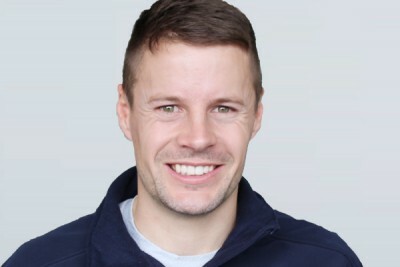 He has instigated and worked across numerous applications of Remedial Massage including the Integrative Wellness program on the Cardiothoracic Ward at The Alfred Hospital (2011-2013), on tour with local and international dance and theatre companies, in private practice and with St Kevin’s College football. 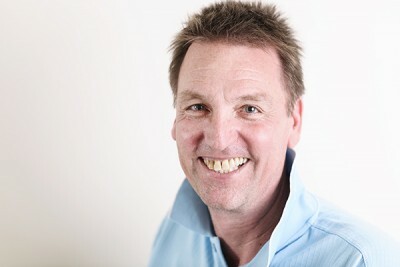 Timothy is passionate about the value of Remedial Massage in the community and is committed to the ongoing health and wellbeing of his clients. Marlene left a career in accounting to pursue her passion in Myotherapy, which she obtained in 2016 from VFA while practicing as a Remedial Massage Therapist. Most of Marlene’s experience is through private clinics, Melbourne Storm Rugby League, Melbourne United Basketball, Netball Vic and Tennis Australia. Her goals are to help all kinds of people return to a happy and healthy life from dysfunction of the musculoskeletal system due to incorrect posture or injury. Emily graduated with honours from the University of Queensland and has since moved down to Melbourne to practice Exercise Physiology and study her Master’s. Emily’s passion for human movement stemmed from her 15-year dance background and additional dance teaching with a focus on ballet and contemporary. This experience has aided in developing techniques in instructing body awareness as well as core stability retraining and flexibility. Emily is passionate about biomechanical retraining for amputee and prosthetic mobility and is currently undertaking her Masters in Clinical Prosthetics and Orthotics. This interest was encouraged through volunteering in wheelchair rugby and basketball with Sporting Wheelies and Disabled Association Queensland as well as her affiliation with Disability Sport and Recreation Victoria. Emily has also been involved in the 2017 Ossür Mobility Clinic, 2017 Ottobock LIMB-itless conference aimed at improving overall mobility in amputees. Her interests also include group rehabilitation for cardiac, diabetes and fall prevention populations with an additional focus on education. Emily aims to provide her clients with individualised programs, meeting their specific needs in order to optimise quality of life. Outside of the clinic, Emily enjoys travelling, hiking and painting. Her most memorable hikes include The Milford Track in New Zealand and Mount Vesuvius in Italy. Emily graduated from the University of La Trobe at the rural health school in Bendigo, having researched the effect of falls and balance exercise and it’s ability to maintain postural stability. Emily’s passion for human movement stemmed from her experienced swimming background at a National level, having represented Victoria on a number of occasions. This background has fuelled Emily’s ability to work with athletes in injury prevention and rehabilitation. Emily is a strong believer that exercise is medicine, and is her passion focuses on rehabilitation for a variety of neurological conditions and their effect on an individuals balance. This interest has stemmed from experiences working with individuals with neurological conditions, most specifically Ballarat Health. 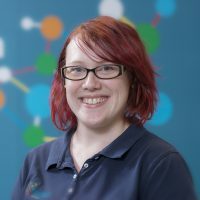 Emily has experience working with a number of neurological conditions, including stroke, Parkinson’s, Multiple Sclerosis and Myotonic Dystrophy. Other interests also include cardiac rehabilitation, musculoskeletal and exercise for diabetes, as well as education on the importance of exercise for all populations. Outside of the clinic, Emily enjoys travelling, going to the beach and eating out. Her most memorable overseas holiday was at the Philippines in 2017. Isabella graduated with a Masters of Nutrition and Dietetics from the University of Sydney in 2016, and is accredited with the Dietitians Association of Australia. She is currently completing a PhD in sports nutrition at Monash University. Her project involves working with elite endurance athletes to develop a new nutrition product for recovery from prolonged exercise. 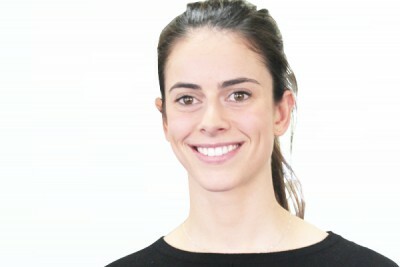 Whilst Isabella’s primary focus is currently in sports nutrition and research, her interests also include dietary management of conditions such as weight loss, weight management, allergies and food intolerances, diabetes, cardiovascular disease and paediatric and adolescent nutrition. Isabella believes in working in collaboration with patients to design a management plan that best suits the patients’ dietary preferences and lifestyle, while optimising health outcomes. A career is dietetics was the obvious choice for Isabella, as it combines her love of sport, science and food. She enjoys conducting experiments in the kitchen as well as the lab. Never one to follow a recipe, Isabella loves trying out new combinations of flavours and ingredients. Katie graduated in 2003 from Melbourne University and after completing two years in a rotating position at the Royal Melbourne Hospital left Australia with the travel bug. Like most travelling Aussies she settled in London where she began work at the Wellington Hospital. Here she was exposed to a wide range of neurological presentations and a variety of treatment adjuncts. After 6 years in London she returned to Melbourne and commenced working at the Neurological Rehabilitation Group. 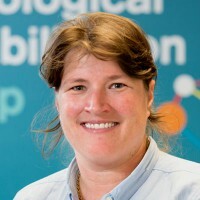 Her exposure to varied neurological presentations and exceptional mentorship from her time in the UK allowed Katie to join the the Neurological Rehabilitation Group as an experienced and passionate practitioner. In February 2014 her commitment to the area of Neurological Rehabilitation was cemented when she took over ownership of the practice. Aware of the benefits that great leadership can have in a clinical environment Katie has taken on ownership of the practice with excitement and enthusiasm for the development of others. Her team, like her are encouraged to bring their own unique style, passion and expertise to the group, resulting in environment of continuous improvement and exceptional patient care. Jenny studied physiotherapy in Brisbane at the University of Queensland prior to working in both hospital and community-based rehabilitation. In the early stages of her career Jenny worked in a range of areas including orthopaedic, aged care, women’s health, and neurological. With a particular interest in neurological rehabilitation Jenny made the move to Melbourne three years ago to work for a private practice in this field. Her clinical areas of interest now include Multiple Sclerosis management, health promotion, and rehabilitation following stroke, spinal cord injury & traumatic brain injury. Jenny has a passion for client-centred care and believes patient education is an integral part of any rehabilitation program. She is currently furthering her clinical skills by studying Graduate Certificate in Clinical Rehabilitation through Flinders University. Bhavini studied at both Cambridge University and Imperial College London. She also has a Masters from Cambridge in Pathology. She has worked in a wide range of specialities all across London and completed her General Practice training at Guy’s and St Thomas’ Hospital. As a GP, she ensures she treats a person as a whole to provide optimal health. She has many interests, particularly IBS and gut health, mental health, complex chronic conditions, women’s health and much more. 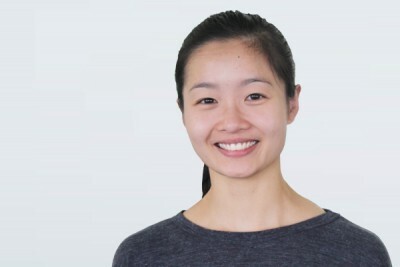 She enjoys working as a team with Melbourne Physiotherapy, which includes dietitians, exercise help and myotherapy to give patients well rounded care. Her interests outside of work include trekking, bouldering, meditation and yoga.